Being a Man Utd fan at the moment is difficult. Ill luck (against Newcastle) and a dismal performance (against Crystal Palace in the Carling cup) coupled with a lacklustre performance against Benefica (Champions league) has been the fate of my beloved team these past couple of weeks. Trying times indeed. Hmmmmm our enemies this too will pass. The Newcastle game wasn’t bad performance wise but inability to bury chances obviously did the Red Devils no good. A dubious penalty was also awarded to Newcastle that was buried by Demba Ba to cancel out Chicharito’s 1st league goal in Old Trafford this season. The game ended 1-1. Kudos to the Magpies on the night. They played well. The Crystal Palace game was so bad. What made it worse was Crystal Palace had not won in 6 games. How the hell does an experienced line up like United’s lose to a Championship side? Beats me. Darren Ambrose scored a stunner in that game. United lost the game 2-1 at home and were eliminated from the League cup. Sir Alex however apologised to the fans after the loss. 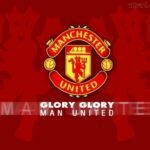 The Red Devils’ form of late has been some sort of concern and the next stop was an away league match against Aston Villa. In the last 29 games against Villa , the Red Devil’s have lost only once. The only United loss was in Old Trafford during the 2009/10 season. Gabriel Agbolahan getting the only goal of the match. Man Utd had not lost to Aston Villa at Villa Park since 1995. Villa’s record against United on their own ground was so bad that the last Villa player to score in a league win over United was Dwight Yorke. Yorke however left Villa to join Man Utd in 1998 and was part of the 1999 treble winning side . The Red Devils need to get into their stride if they really want to challenge for the title. Elimination from the Carling Cup, means the FA cup and probably the EPL are the only realistic chance of silverware for the Red Mancunians this season. Alex Mcleish (Villa’s manager) and Sir Alex (both born in Glasgow, Scotland) have a little bit of history together. Mcleish played for Aberdeen under the tutelage of Ferguson. Together they conquered the Scottish league and at some point Europe winning the European cup winners’ cup and the European super cup in 1983 and 1984 respectively. Mcleish is also one of the few managers in the EPL that has played under Sir Alex. The 1st half kicked off with United being in control. They then lost Chicharito to injury in the 12th minute. He twisted his ankle as he was running into the Villa box 18. He was replaced by Valencia. Man Utd’s dominance paid off after Nani slid a cross into the Villains box and Jones volleyed home from close range to give them the lead in the 20th minute. United came close to getting a 2nd but Nani’s power header off Ashley Young’s cross was well saved by Shay Given. Given then got injured and had to be replaced by American Brad Guzan. The half ended with United’s lone goal. The 2nd half saw Villa coming out strong and better than they did in the 1st half. 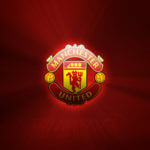 United still dominated and Rooney came close to scoring from 25 yards out and Bannan also blocked off a Nani effort. Jenas had to be taken off due to injury and his replacement Heskey should have levelled scores but headed wide. Lindergaard in goal for Man Utd who had been hardly called to action was forced to make a save late on in the game from a James Collins header. Young who had been booed all night (he used to play for Villa) took a shot straight at Guzan and Welbeck’s effort in the 90th minute was ruled off for offside. United ended up being winners with their 4th 1 nil victory in their last 5 league games. I wonder when Rooney will start scoring again in the league. My man of the match was Phil Jones. Asides scoring his 1st senior goal, he was all over the pitch. Smalling also did a good job of pocketing Agbolahan. This was the 69th game Sir Alex has played against his former players and he has lost only 5 times. The most recent loss was a 4-3 loss to Mark Hughes’ Blackburn side in 2006. Arsenal got back to winning ways beating Wigan 4-0 but I question their set piece threats. How can a team score once from over 158 corner kicks? Chelsea have proven to be a better side away from home beating Newcastle 3-0 at the Sports Direct Arena (used to be St James’s Park). Big shout out to Yakubu Aiyegbeni. He scored all 4 goals for Blackburn against Swansea. This makes him the 2nd player to score 4 goals or more for two teams in the EPL. Next game up for United is a must win champions league tie against Basel. A loss will mean the Red Devils would be playing in the Europa league next year.